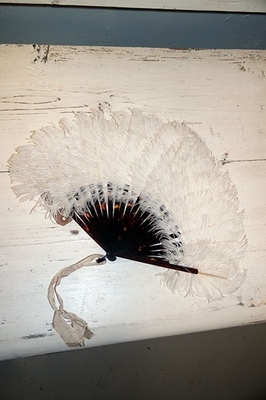 Beautiful smaller size antique Ostrich feather and faux tortoise fan, ca. 1895. 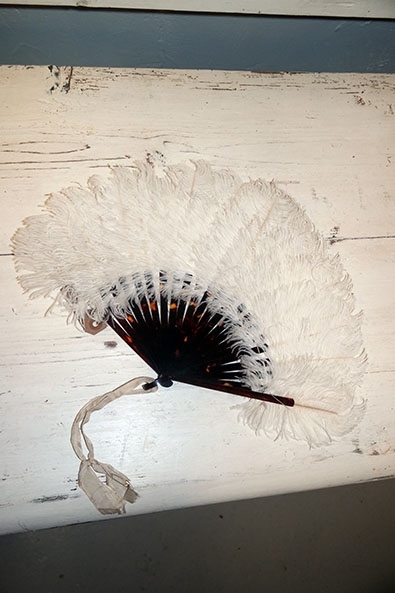 Lovely fan, cute small size for this type of fan. 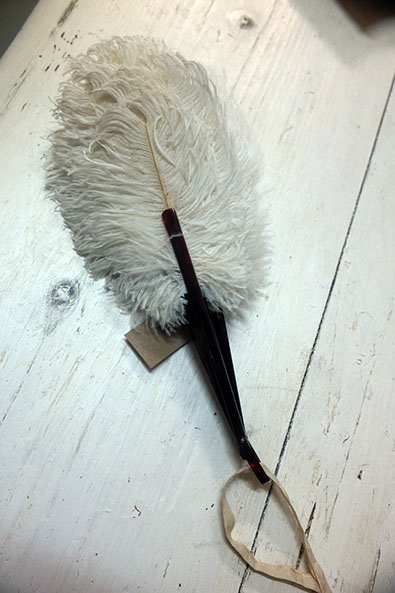 Made of white Ostrich feathers, with faux tortoiseshell guards, sticks and loop. 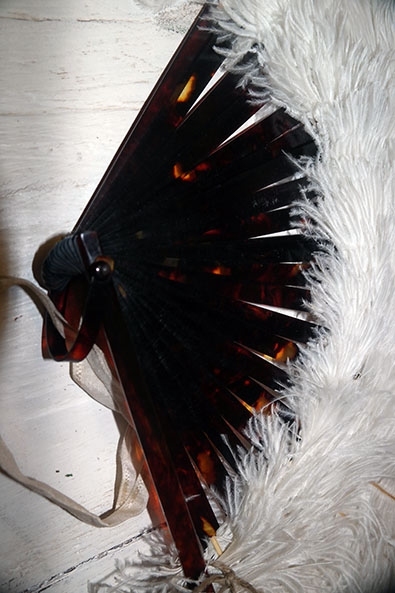 Still has the original silk bow attached to the loop. The feathers are in decent condition, some spots with a little bit of thinning, but not so much that it is very noticable. The guards, sticks and loop are in very good condition. Measures approx. 42 cms wide and 26 cms tall when fully opened.